* Policing students raise $3,000 charity donation * Goulburn’s ‘Angels For The Forgotten’ and Goulburn Base Hospital benefitDonations by students in the Charles Sturt University (CSU) School of Policing Studies at the NSW Police Academy in Goulburn have made a local charity and hospital very happy.Student liaison officer (Engagement and Appeals) in the CSU Division of Student Services Ms Dee Carroll said students at the NSW Police Academy are offered the chance to donate to a charity chosen by the Student Representative Council after consultation with the student cohort.“During every academic session the students undertaking the Associate Degree in Policing Practice (ADPP) are enthusiastic to contribute to the local community where they are living and learning.“During the previous session (May to August 2018), the students chose two worthy recipients.“The students collected and purchased warm clothing and non-perishable foods for ‘Angels For The Forgotten’ in Goulburn, and made a sizeable cash donation to the paediatric ward at Goulburn Base Hospital.“The total funds raised during the session came to the amount of $3,003. This is an amazing effort, and we are very proud of the students here at the NSW Police Academy for their generosity and community spirit.”The goods donated to the Angels For The Forgotten came to a total value of $1,163.Ms Melina Skidmore from Angels For The Forgotten was overwhelmed by the response from the students and said, “This time of year was perfect to receive a donation of this size and it is very much appreciated”.Student representatives and the principal of the Academy presented a cheque for $1,840 to staff at the hospital for use in the paediatric ward.The General Manager of Goulburn Base Hospital Mr Denis Thomas was invited to attend the student dinner to receive the official cheque. He thanked the students for their generosity and said the donation will be used to buy bravery awards for the children in the paediatric ward. People living with disability are looking to higher education as a path to engaging with meaningful activity in their community, particularly in regional areas. But can our regional universities support these aspirations?Researchers from five universities including Charles Sturt University (CSU) are currently investigating the experiences of people with disability who aspire to complete a university course in regional Australia.The research team is now calling for people with disability in regional areas from Wangaratta in Victoria to Port Macquarie in NSW to share their experiences of higher education, particularly those:currently at high school in Years 10 and 11 and who are interested to go to university; and,mature aged people who haven't been to university but are interested in study. "We want to interview volunteers from regional communities to understand their perceptions of higher education. We are investigating the barriers for people with disability in undertaking a university course," said CSU researcher Dr Clare Wilding. "The uptake of higher education by people with disability is lower in regional areas than for their city counterparts," Dr Wilding said. "According to the Australian Bureau of Statistics, people with disability are more likely to have lower levels of educational attainment. Furthermore, data from the bureau showed that there are more people aged 15 to 64 years living with disability in regional areas – around 18 per cent - than those living in major cities, which is 13 per cent. So we should see a higher proportion of students with disability from regional areas attending university. ""However, only two per cent of people with disability living in Australia's regional or remote areas are currently studying in higher education, compared with four per cent in a major city. "We want to find out why this pattern is happening, and how universities, governments and the community can address the problem," she said.As part of the project, the researchers have already surveyed and interviewed students with disability who are currently enrolled in regional universities. "Through this research, we hope to improve access and participation in higher education by regional people with disability, particularly those from a low socio-economic background," Dr Wilding said.The upcoming round of interviews will be conducted using media to suit the volunteer participants: by telephone, instant messaging, Skype, email or face-to-face. People wishing to participate should contact Ms Kate Freire on (02) 6051 9355 or email kfreire@csu.edu.au.The researchers aim to complete and analyse the interviews before the end of 2017, and report final recommendations to the Federal Department of Education by the middle of 2018. Call to reassess sentencing after Bathurst Jail riotA senior researcher from Charles Sturt University (CSU) in Bathurst has called on NSW policy makers to reassess whether prison sentences are the best way to handle low-level crime after yesterday's riot at Bathurst Jail. "The riot brings to mind some of the problems that 40 years ago, led to the Nagle Royal Commission into the infamous Bathurst Jail riots of 1974," said Dr McFarlane from the University's Centre for Law and Justice. "Allegations of prison overcrowding are hardly surprising, given NSW has never had so many people in jail. "We know that jail often makes people worse and doesn't add to community safety. The vast bulk of people don't need to be in jail. "Addressing prison sentencing and reducing overcrowding would also help relieve pressure to extend the Bathurst jail over the next five years, which will only add to the huge financial burden for NSW taxpayers." Indigenous students from across the state are preparing to join the NSW Police Force with the help of a workforce essentials course at Charles Sturt University (CSU) in Dubbo.Thirty six graduates of the awarding-winning Indigenous Police Recruitment Our Way Delivery (IPROWD) are now studying the University Certificate in Workforce Essentials through CSU.IPROWD aims to increase the number of Indigenous Australians in the NSW Police Force and these students will study on campus at CSU in Dubbo full time for five weeks to complete their University Certificates.Course Manager Dr Amanda Davies said, "Success in the University Certificate and pre-entrance exam enables students to progress in the recruitment process that leads toward attending the NSW Police Academy in Goulburn. "Success in these studies prepares the prospective students for enrolling in CSU's Associate Degree in Policing Practice, completion of which is required to join the NSW Police Force as a Probationary Constable," Dr Davies said. "This extensive process helps maintain the high academic and professional standards demanded of new recruits by the NSW Police Force, while helping prepare indigenous Australians for the academic rigour of university courses. "The next intake for the NSW Police Academy is in August this year. A touring event involving Charles Sturt University (CSU) scientific and engineering academics will challenge the scientific and engineering skills of around 1 000 school students across southern and central NSW in March. The national Science and Engineering Challenge, provides fun, hands-on activities for Year 10 high school students across Australia to consider studying science, engineering and mathematics at university. Organised in partnership with communities, Rotary clubs, universities and sponsors, four challenge days will include CSU scientists and engineers who will guide student teams in Bowral, Dubbo, Young and Wagga Wagga through a series of mathematical and scientific challenges. The day-long events highlight the importance and fun of science and engineering. The Science and Engineering Challenge events will be held in Young on Tuesday 1 March, Wagga Wagga on Thursday 3 March, Dubbo on Monday 7 March, and Bowral on Tuesday 8 March. 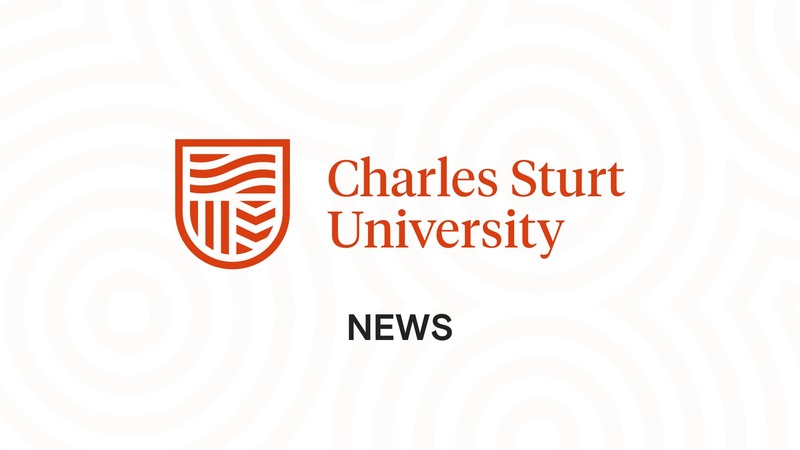 Charles Sturt University (CSU) Winery will launch a new-look series of labels for its Charles Sturt and Reserve ranges at CSU in Bathurst on Tuesday 1 October. Marketing manager Mr Justin Byrne said the new labels reflected the University’s history and spirit of exploration. “The labels feature the rivers of regional NSW, the Macquarie, the Murray, the Murrumbidgee and the Darling,” he said. “It was the explorer Charles Sturt who first traced the Murray and the Murrumbidgee, and those journeys are also represented on the labels.” Mr Byrne said Charles Sturt University Winery had been making wine, and winemakers, for more than 35 years. “We own and operate two vineyards, growing warm climate varieties in Wagga Wagga and cool climate varieties in Orange, and also work with growers in other regions. We have two production facilities in Wagga Wagga; a commercial winery producing our three product ranges and an experimental winery producing our student wines.” CSU staff and local business people will attend the launch event and the new labels will be on shelves throughout NSW and Victoria in the coming months. Charles Sturt University (CSU) Council has welcomed the appointment of three new highly successful alumni to its ranks. Mrs Jennifer Hayes from Albury-Wodonga is a former senior executive of the Mars Corporation, including as a senior financial executive in Asia Pacific and Europe. Ms Saranne Cooke from Bathurst joins the Council from the energy sector and recently led a team working on energy sector reform in NSW. Ms Cooke is also a Director of the Western Medicare Local. Mr Jamie Newman from Orange is a member of a number of boards and committees, and is currently the Chief Executive Officer of the Orange Aboriginal Medical Service. He is a descendent of the Kalar tribe of the Wiradjuri nation. The new appointees join current CSU alumni members Mr Angelos Frangopoulos (CEO of SkyNews Australia and Board Member of the Victor Chang Foundation) and Mr Peter Hayes (a Wine Industry Consultant who has held senior positions with the CRC for Irrigation Futures, CRC for Viticulture and the Grape and Wine Research and Development Corporation). The Council also welcomed Mr Robert Fitzpatrick, an external independent appointee, who currently heads up the infrastructure, transport and logistics business with the National Centre of Excellence in ICT Australia and spent 7 years in global consulting for McKinsey in international business and technology. Under the leadership of Chancellor Mr Lawrence Willett, AO, the CSU Council has 15 members. Charles Sturt University (CSU) will close for the Christmas-New Year break from 12.30pm on Friday 21 December and will re-open on Wednesday 2 January 2013. Best wishes to all our readers from the CSU Media team. Charles Sturt University (CSU) staff and students affected by recent flooding are being reminded to look after their emotional wellbeing. The University is providing counselling to students both in person and via the telephone. Student Counsellor, Ms Katie Murrell-Orgill said she is expecting a demand for services once people are able to return to flood affected homes. “It’s normal to experience a range of emotions in these kinds of situations and it can be really helpful to seek support to help process what has occurred,” she said. “With much of southern and central west NSW and northern Victoria affected by floods, the service is available to all students including those studying by distance education.” Students can make an appointment for counselling by calling Student Central on 1800 275 278 while after hours support is available by phoning Lifeline on 13 11 14. Staff and members of their immediate families can access CSU’s Employee Assistance Program, which offers free short-term professional counselling services. Information is also available on the CSU 2012 flood website here.